Take the first step today toward your business succession planning. Over the years, our family planted a vegetable and flower garden. Each winter, I mapped out a plan for a lush and productive garden. I had dreams of people adding to their “bucket list” a trip to gaze upon our garden. Despite my desire, our garden never became a tourist destination. This was not because I didn’t have great intentions. I simply never implemented a plan that we could follow, day to day and year to year, to produce that garden. As a final recognition of my failure, this spring we planted grass on our garden plot, and now we will simply be mowing it along with the rest of our yard. Our garden is a simple illustration of what Andy Stanley describes as “The Principle of the Path” in his book by the same title. The principle is this: Direction, not intention, determines destination. In other words, if we intend for a certain outcome in any area of our life, we will never achieve the desired result if the path that we are following does not lead to that destination. Simply intending or desiring a certain outcome is never enough. In my years in private practice of law, I lost count of the number of business owners who confessed to me that they were troubled by the lack of a thoughtful succession plan for their business. They desired to have a clear plan to transition their business to one or more of their children or to key employees, while assuring continued business success beyond their own exit, but they had nothing in place. For some, this concern became their regular “3 a.m. wake-up call.” To relieve their anxiety, they read articles about planning, attended seminars and breakfast meetings about planning, and talked to their peers about it. But most acknowledged that they were not moving forward purposefully on a path that would lead to their desired destination. They had confused their desire to have a plan with taking purposeful action. Desire is the starting point, but it is never enough to get us to any important destination in our life. I have plenty of time and someday, when I am not as busy with other important issues, I will get serious about succession planning. The journey required to develop and implement a thoughtful succession plan is simply too long, too hard or too complex. The paralysis caused by these false beliefs can be overcome with these five words: Take the first step, today. 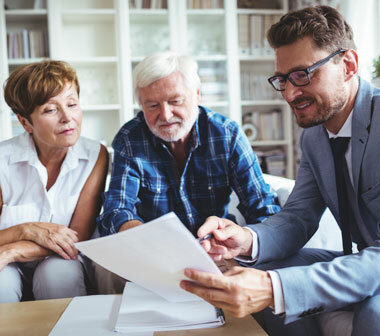 For some, this means scheduling a specific time to sit with your spouse and have a transparent conversation about your desires and your concerns relating to succession planning and committing to begin walking the planning path together. For others, it means gathering your leadership team and placing succession planning as a non-negotiable priority on your leadership agenda. If you are anything like me, you already know that one first step that you need to take. So take that single step before the sun sets on this day. And then, having moved beyond mere desire in your succession planning, maybe you can come to our house and help us re-start our garden . . . .